Can You Buy a New Car with a Credit Card? So, you’ve just received a 0% credit card with great cash back offers and a good customer loyalty program. You feel so financially empowered that you ask yourself, “Can You Buy a New Car With a Credit Card?” After all, the company promises to give you a 10 % cash back if you spend above a specified minimum amount. A credit card company can charge you 16-18% interest on each auto loan installment. 1. Are you about to Buy a New Car With a Credit Card? 1. Do all car dealerships accept credit cards? 2. Can you make a down payment on a new car with a credit card? 3. Can you buy a new car using a credit card with no credit score? 4. Can you get a better deal if you pay cash for a car? 5. Can I use a credit card to make a car payment? 6. Can I use my credit card to buy car insurance? 2. What are the disadvantages of buying a car using a credit card? 3. Are you willing to Buy a New Car With a Credit Card? Truth is, only a few car dealerships allow customers to buy new cars with credit cards. Credit card companies require car dealerships to pay a transaction fee ranging from 3-5 % of the car’s value. If the car dealership decides to transfer this transaction fee to the customers, no one would want to buy due to the high transaction fees. In addition to high transaction fees, most car dealerships don’t like credit card purchases because small disputes can delay payments for months. If a customer just bought a car and notices the engine had some faults, reporting this incident will make a credit card company hold on to auto loan installments until the car dealership handles all engine repairs. It depends on the car dealership and your credit card limit. Car dealerships that allow customers to buy cars using credit cards have a minimum spending limit. You’ll notice that the minimum amount ranges from $5,000-$8,000. Why? Because car dealerships want to retain a huge portion of their profits after paying expensive credit card transaction fees. If you’re planning to make a down payment on a car using a credit card, make sure you do it right after receiving your card. This ensures that you’ll pay no interest on your down payment because the zero % interest offer period runs for six months. If you delay, then you’ll have to pay a 16 or 20% interest rate on your down payment. Unfortunately, it’s impossible to pay for a new car when you lack a credit score. Car dealerships determine the risk level of a potential car buyer by checking his or her payment history, type of credit available, and how much credit they’ve used. In this situation, you’ll need to save up a huge deposit. A huge down payment acts as good collateral. You’ll also need a cosigner if you’re planning to get an auto loan because car dealerships need someone with an excellent credit score to guarantee your credit financing. In order to answer this question, you first need to ask yourself why some people prefer to purchase cars using credit cards. Obviously, because of financial challenges. On the other hand, some buyers earn handsome monthly salaries but they just lack the commitment required to save at least $25,000 or more for a new car. So, can you get a better deal if you pay cash for a car? Most definitely because you don’t pay any transaction fees. In addition, the car dealership cannot impose any Guaranteed Auto Insurance premiums in the car price. When you pay the full price in cash, you receive full ownership rights immediately. If you find a car dealer that allows customers to make car purchases using credit cards, then you’ll have no problem paying your auto loan installments. It’s ideal for a car buyer who’s just received a 0 % credit card because they won’t pay any extra charges. Most car dealerships hate credit card payments due to the processing fees involved per transaction. If your total auto loan outstanding balance is less than $5,000 and you still have plenty of months left to enjoy 0 % interest transactions, consider applying for a balance transfer. Fortunately, it’s easier to get an auto insurance provider that accepts credit cards compared to car dealerships that allow customers to buy cars using this option. However, there’s always a catch. Usually, auto insurance companies will allow you to pay using a credit card only if you’re paying annual or six months premiums in advance. Credit card companies charge transaction fees for each monthly payment. In order to minimize this expense, auto insurance companies want you to make bulk payments because they’ll only pay one transaction fee. Paying your insurance premiums in bulk is actually an advantage when you have a 0 % credit card. We’ve understood that credit card companies can charge sellers as high as 5% for every transaction. Car dealerships avoid these sales because they’ll also have to pay transaction fees after a car buyer wants to pay their auto loan installments using a credit card. 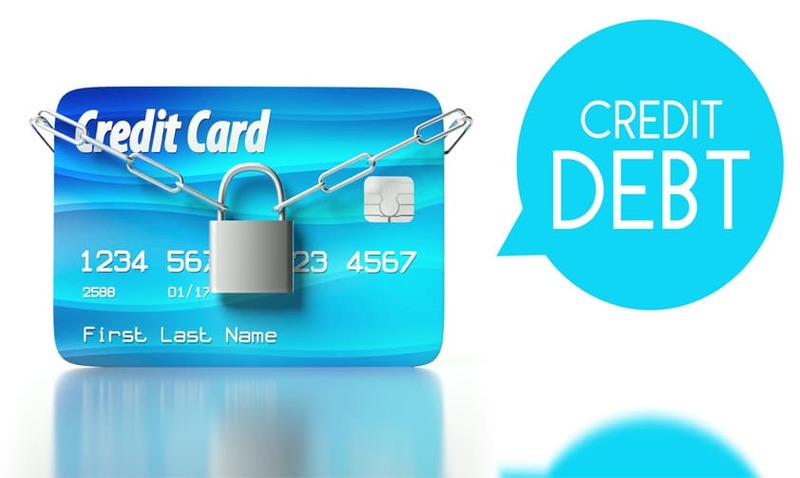 Credit card companies are very strict on payments because they’re dealing with unsecured debt. When you look at a cash-backed auto loan, a car buyer can meet the car dealership to request additional time to pay a car installment. On the other hand, credit card companies are quick to impose late payment fines on the spot. Skipping the second payment can lead to cancellation of your credit card account. Is this bad? Yes, it is because it affects your credit score directly. Truth is, credit card companies allow you to make credit purchases at a zero percent interest rate for 6-12 months. After the promotional period expires, you’ll pay interest rates based on your credit score when applying for the credit card. The interest rate can be as high as 18% for people with excellent credit scores. If you have bad credit scores, you’ll pay 20-23% interest for every auto loan installment. That’s bad news, isn’t it? Based on the pros and cons explained in this post, it’s safe to say that purchasing a car using a credit card isn’t the best option. It’s a time-consuming approach because you’ll probably drive out of town looking for a car dealership that allows you to make a down payment using your credit card. It’s also unsafe for your credit score because you tend to use up your maximum credit limit.